The TV370 is ideally suited for landscaping, utility, agricultural and rental applications where operators value lift capacity and strength, but may not require higher horsepower to run high-volume production attachments. 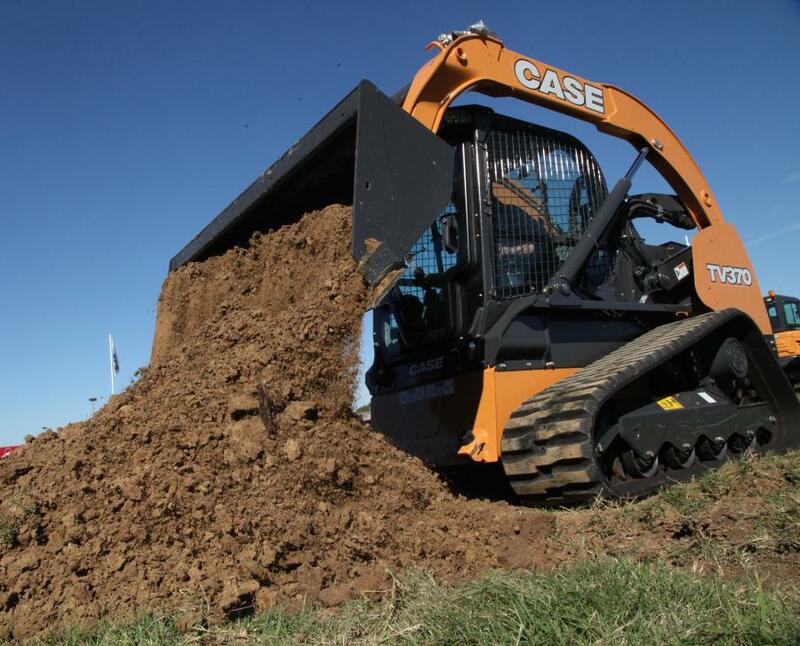 Case Construction Equipment's TV370 compact track loader (CTL), a new 74-hp machine that combines a maintenance-free Tier IV Final solution with the strength and reach of a large-frame CTL, provides a 3,700-lb. (1,678 kg) rated operating capacity and a vertical-lift design that makes it ideal for loading trucks and lifting and placing heavier palletized materials. “As the CTL market expands, there are no one-size-fits-all solutions,” said John Dotto, brand marketing manager, Case. “The new TV370 gives contractors a 74-horsepower option in a large-frame vertical CTL that provides a high capacity, low ground pressure and stable platform for earthmoving, load and lift applications, and heavy attachments while utilizing a maintenance-free after-treatment system. The TV370 is ideally suited for landscaping, utility, agricultural and rental applications where operators value lift capacity and strength, but may not require higher horsepower to run high-volume production attachments. The machine provides enhanced auxiliary hydraulics for traditional attachment use in standard (24.2 gallons per minute [gpm] at 100 percent efficiency) and optional high-flow (37.6 gpm at 100 percent efficiency) hydraulic setups. Additional performance/operating highlights include an 8,776-lb. bucket breakout force, and a 10-ft. 11-in. (3.3 m) hinge pin height. At 6-ft. 4-in. (1.9 m) wide over the tracks, and on standard 17.7 in. (45 cm) wide tracks, the TV370 provides stability and the low standard ground pressure for operating on varied terrain and sensitive ground. The TV370 offers a wide cab in the industry and the low entry threshold for easy access and greater visibility down to the bucket/attachment. The cab-forward design combines with ultra-narrow wire side screens to provide 360-degree visibility and excellent site lines down to the bucket edge/curb lines. A large, rounded rear window delivers excellent rear visibility. Standard heavy-duty front and side lights further improve visibility. The new CTL meets Tier IV Final emissions standards through a DOC-only FPT engine that requires no additional fluids or intensive maintenance activities. Operators can easily access the engine, filters, fill points, and all other primary service points through a single point of access. It also offers an easy-tilt cab for convenient access to the drivetrain compartment.